extension of the Burkburnett oil field. and wiped out much of the town. 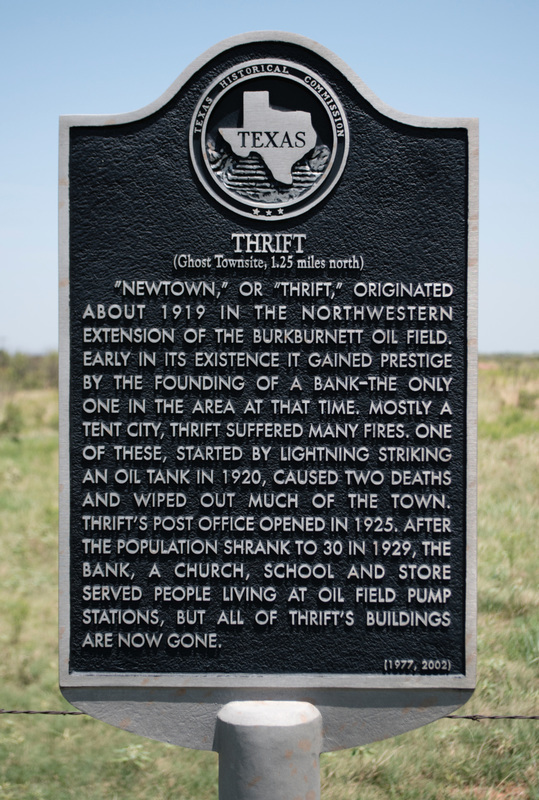 Located on SH 240 near Fairview Road, Burkburnett, Texas. Note: The original location of the marker was closer to the town site, nearer to the Red River. After it was damaged by gun fire, it was replaced with funds from Precinct 2, and then moved in 2002 to its present location. 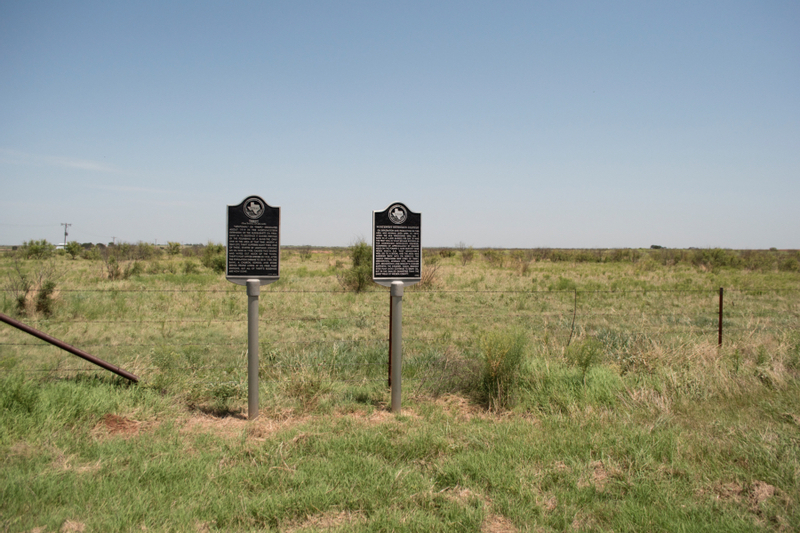 Standing side by side on SH 240 near Fairview Road, the markers for Thrift and the Northwest Field Extension give a glimpse into the history of the area. For more information about Thrift at the Handbook of Texas Online, click the button below.